MaltaWebShop.Com is a Malta based, online gift shop that offers hard to find Small Oak Barrel and other Wine related Gifts, Chess Boards, Unique Ornamental Brass Taps, Decorative Bathroom Faucets, Fountain Spouts and Water Emitters. Small Wooden Barrels - Small wooden barrels and casks in 2, 3, 5 and 10 litres with black or brass rings, a wooden stand and wooden tap as standard. Aparts being highly decorative, these oak barrels are good for wine, whiskey, liquor and distillates oakening and dispensing and do make a great gift especially for home made wine makers and enthusiast. Wooden taps can be upgraded to brass or stainless steel ones. Wall Mounted Cork Screw and Pocket Tire-Bouchon - These artistic, wall mounted, wine bottle cork openers are made from massive brass and come in two designs and finishes and do make a great wedding gift whilst the smaller, concealed pen tire-bouchon is a great gift for a wine enthusiast. Food grade Stainless Steel and Brass Taps - Compatible with our wooden barrels, kegs and casks we supply a range of tapered stainless steel and brass taps of all sizes. Additionally we supply various types of replacement taps for infusion jars other 3/8'', 1/2'' and larger male threaded faucets for various food grade applications. 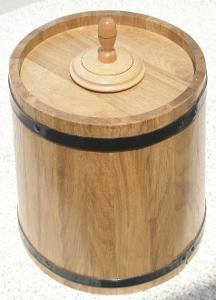 Wooden Vinegar Macerating Kegs - These wooden kegs are hand crafted from kiln dried oak and have a opening hatch and are ideal for home made vinegar making and is currently available only in 10 litres. A variety of food grade matching taps are available if required. 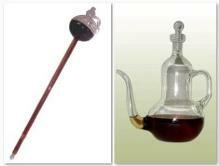 Unique Wine Thief and Cruet - We offer a very rare and hard to fine, mouth blown wine pipette and vinegar cruet. Only a few of these are left! 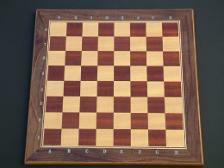 Hand Crafted Wooden Chess Board - These 500mm x 500mm, wooden chess boards come in three different finishes and besides making a great gift to any chess enthusiast they also do great as a table top. Aviation, Motoring and Sports Key Rings - These pewter, British made key rings are finished in antique pewter or 22 carat gold. Themes include Airbus, Boeing, Vulcan, Spitfire, Hurricane, Tornado, Harrier, Go-Kart, Formula1, Driver and Pilot Helmet. Water Fountain Spouts and matching Back Plates - We offer a varied selection of brass made ornamental water fountain spouts in polished brass or antique bronze finish. Available mainly in 1/2'' and 3/4'' BSP thread, these spouts are deal to embellish any inside or outside or water feature. Garden Water Taps and matching Back Plates - We also offer an another varied selection of brass made decorative water garden taps and hose-bibs in polished brass or antique bronze finish. Available mainly in 1/2inch BSP thread these garden taps would embellish any yard, driveway, veranda or garden. Bathroom Brass Faucets and matching Back Plates - Finally we are pleased to offer a selection of bathroom and sauna ornamental faucets and hose-bibs. Also available in polished brass or antique bronze finish and available mainly in 1/2inch BSP thread, these faucets would also enhance the look of any yard, driveway, veranda or garden. The Gifts, Products and Fittings displayed at MaltaWebShop.Com are imported exclusively by Renaissance Arts Company Limited, Malta and marketed through MaltaWebShop.Com and a few other Selected Outlets. We accept Online Payment by Credit Card, Pay Pal or cash on delivery and deliver via post or otherwise within Malta and Gozo only. Within Malta we can offer a 'see before you decide' option were we can arrange a meeting to View an Item before deciding to Buy or Otherwise. For complete information about ordering, shipping and returns please e-mail us at info@maltawebshop.com. Also, MaltaWebShop Online Gift Shop would also consider positively any conventional or online collaboration for mutual promotion such as links or banner exchange with any Malta focused website or company (including competing ones) which can give benefits to both parties.